Increasingly, today’s youth are seeking rewarding careers that help our nation move towards more sustainable lifestyles and greener economies. The next generation wants to work with purpose. They want to find a job they can be proud of; they want to feel like they are making a difference in the world. 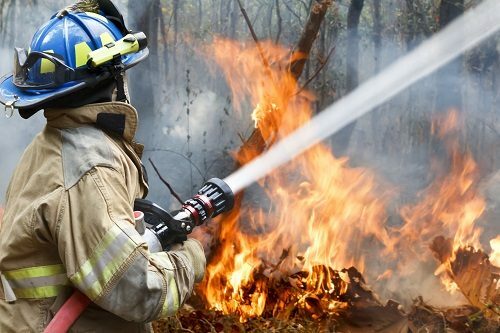 “Green” jobs — defined by the Bureau of Labor Statistics as jobs that produce goods or services that benefit the environment or conserve natural resources, or jobs that use more environmentally friendly processes or fewer natural resources — have outpaced jobs in other categories by almost 250 percent over the last decade, and growth doesn’t appear to be slowing down anytime soon. According to the International Labour Organization, there were 9.8 million “green” jobs in 2017 and by 2030, there will be an additional 15-60 million new green jobs. Green jobs are not just in the renewable energy, manufacturing, or technology sectors. Some of the greenest jobs involve forests, and Green Jobs in Green Spaces: Exploring Forest Careers introduces high-schoolers to the exciting array of career options in this field. Teachers, career and guidance counselors, scouts, 4-H, and FFA leaders, foresters, and job training program advisors can use this latest resource from Project Learning Tree in settings ranging from community youth programs to school classrooms. These jobs that help sustain forest ecosystems and ensure that forest products are produced in the most sustainable way possible also ensure that wildlife habitat is conserved, trees are replanted, and workers are treated fairly. 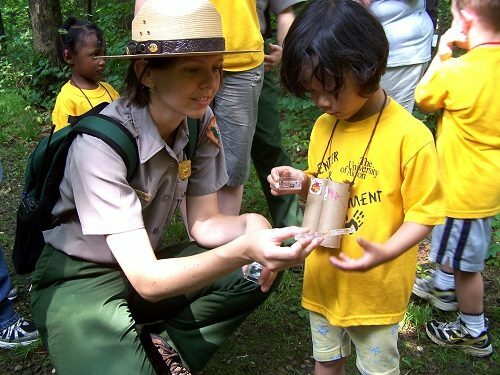 PLT’s Green Jobs in Green Spaces: Exploring Forest Careers includes four hands-on instructional activities that help youth explore forest-related green jobs. These activities are designed to be flexible. They may be taught as individual, stand-alone lessons or all together as a cohesive unit of instruction. Depending on your program, you may teach them in the sequence provided, switch the order around, or pick and choose components from different activities. Learners meet some of the people who work in and on behalf of forests, and research different forest sector careers to find out what it takes to perform these jobs. Acting as foresters, learners grapple with decisions about how to ensure that a forest serves all the needs it must serve. 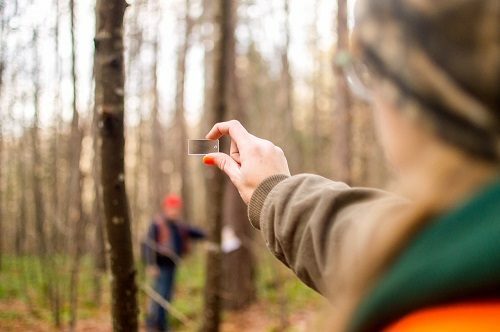 Through a variety of health indicators, learners assess the health of a forest area and see how soil scientists, wildlife biologists, arborists, and other forest professionals monitor forests. Learners examine the Sustainable Development Goals of the United Nations, while also taking a look at some jobs involved in ensuring forest sustainability. Green Jobs in Green Spaces also includes background information about the benefits of green jobs, a self-assessment of STEM skills encompassing interpersonal as well as technical skills needed in forest careers, and a list of resources to deepen learners’ career exploration. To receive notice when this new PLT resource is published, please subscribe to PLT’s newsletter, The Branch.